John Dennis is the Coordinator of the Guelph Tool Library. The Guelph Tool Library is a lending library of tools where you can borrow tools for food preparation, food preservation, gardening, renovation, arts, etc. By purchasing a $40.00 annual membership you can have access to its full inventory and can borrow up to 10 tools for a period of one week. 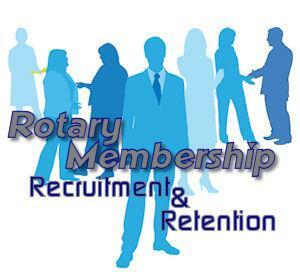 Membership can be purchased through the "Sign Up" section of their website (guelphtoollibrary.org) or in person at the Guelph Tool Library during opening hours. Some other projects of the Guelph Tool Library are Repair Cafes, which are run bi-monthly as well as a wide variety of workshops and training sessions. 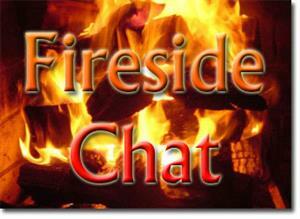 We are always looking for new ways to collaborate with the community. Nicole is the Manager of Membership Services for the new Guelph team in the Canadian Elite Basketball League. Nicole joined us at our December meeting where we assembled gift bags for Chalmers Community Services and shoeboxes for the Guelph Shoebox Project. “Basketball is the second-fastest growing sport in Canada, and in Guelph the Nighthawks have a unique opportunity to support the growth of the game at a community level. The Guelph Nighthawks Professional Basketball Club are firm believers that the only way to find success is through the development of the game at a grassroots capacity throughout the community. You will find the entire Nighthawk family will be active members within the city, sharing our resources, building our community and coming together as one around the game of basketball. Game nights will be an experience like no other in Guelph. We’ll invite you to come downtown early, wear your Nighthawk colours, enjoy one of the many restaurant patios, peruse some of the shops and partake in the vibrancy of downtown Guelph. Once inside the Sleeman Centre these athletes will not only put on an incredible show, but your night will be built around an evening’s worth of memorable entertainment for both the ardent basketball fan and those looking for an entertaining and affordable night out with their family. We look forward to building and growing Guelph Nighthawks basketball together, with you, as we lead to tip-off in May, 2019. It has been determined that 42% of children are below minimum reading and comprehension proficiency. 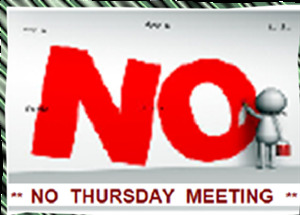 This project proposes to place a reading “bunko” in each elementary school in Caborca in a multi-year project. A bunko contains book shelves, 200 books, rug and cushions as a reading place. 80% of the funds are for the books themselves. It is proposed to install 5 bunkos per year at $12,500 USD for 5 years. This totals a little over $60K USD and would reach a student population of over 7,000. Sue is the "Pawd Leader" of the Guelph "Pawd" (clever!!) 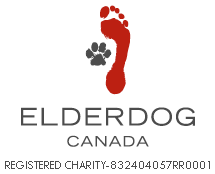 of the ElderDog Canada organization. ElderDog is one of the10 organizations being recognized at our 2019 Volunteer Appreciation Brunch. Support and conduct research into the human-animal bond with a focus on seniors and canine companionship. Nick will update us on the retirement living options available at the Village of Arbour Trails. The Guild was nominated, and selected to be one of the 10 organizations honoured at the 2019 Volunteer Appreciation Brunch. The Guild is being honoured for their volunteers' work on the Memory and Comfort quilts that they so lovingly create and donate to the Guelph General Hospital for victims of sexual/domestic violence and parents who have suffered the loss of a child. 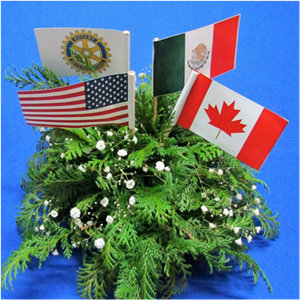 Our Rotary Club was honoured to partner with the Guild in 2018 with a sponsorship towards the creation of 200 of these special quilts! The first Kitty Cafe in Ontario! "My Kitty Cafe" was nominated and subsequently selected as one of the organizations to be honoured at the 2019 Volunteer Appreciation Brunch. Every year our Rotary Club sponsors at least 3 senior students from Bishop Macdonell high school to attend the 3 day residential program in Waterloo. 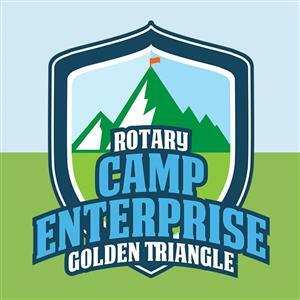 Camp Enterprise Golden Triangle is a cooperative effort between multiple Rotary Clubs in the ‘Golden Triangle’ region surrounding Kitchener, Cambridge, Guelph, Waterloo and Fergus. Selected students have the opportunity, at no cost, to attend a 3 day immersive camp at the University of Waterloo about business and entrepreneurship. Students will get to attend keynote speaker lectures and participate in collaborative activities culminating in a business plan presentation at the end of camp. We always look forward to hearing about the students' experiences and how the program will impact them going forward.